What Is a Router in Computer Networking? What Is a Router for Computer Networks? Routers are small electronic devices that join multiple computer networks together via either wired or wireless connections. Routers contain a processor (CPU), several kinds of digital memory, and input-output (I/O) interfaces. They function as special-purpose computers, one that does not require a keyboard or display. The router's memory stores an embedded operating system (O/S). Compared to general-purpose OS products like Microsoft Windows or Apple Mac OS, router operating systems limit what kind of applications can be run on them and also need much smaller amounts of storage space. Examples of popular router operating systems include Cisco Internetwork Operating System (IOS) and DD-WRT. These operating systems are manufactured into a binary firmware image and are commonly called router firmware. By maintaining configuration information in a part of memory called the routing table, routers also can filter both incoming or outgoing traffic based on the addresses of senders and receivers. Before home networking became popular, routers could be found only the closets of businesses and schools. Each cost thousands of dollars and require special technical training to set up and manage. Home networks use Internet Protocol (IP) routers to connect computers to each other and to the Internet. Early generations of home routers supported wired networking with Ethernet cables while newer wireless routers supported Wi-Fi together with Ethernet. The term broadband router applies to any home wired or wireless router being used for sharing a broadband Internet connection. See our updated Best Wireless Routers to Buy guide for help choosing which is best for you. A class of portable Wi-Fi routers called travel routers are marketed to people and families who want to use the functions of a personal router at other locations besides home. Routing devices called mobile hotspots that share a mobile (cellular) Internet connection with Wi-Fi clients are also available. Many mobile hotspot devices only work with certain brands of cell service. Linksys EA6500: This is Linksys first smart WiFi router and gives users total mobile control of the wireless network in their home. Netgear AC1750 (R6300): A solid choice for big homes with a lot of wireless devices. Netgear N300 WNR2000: This is a quality router and the limited lifetime warranty means if you run into any issues while using it, you can contact Netgear to help fix the problem. 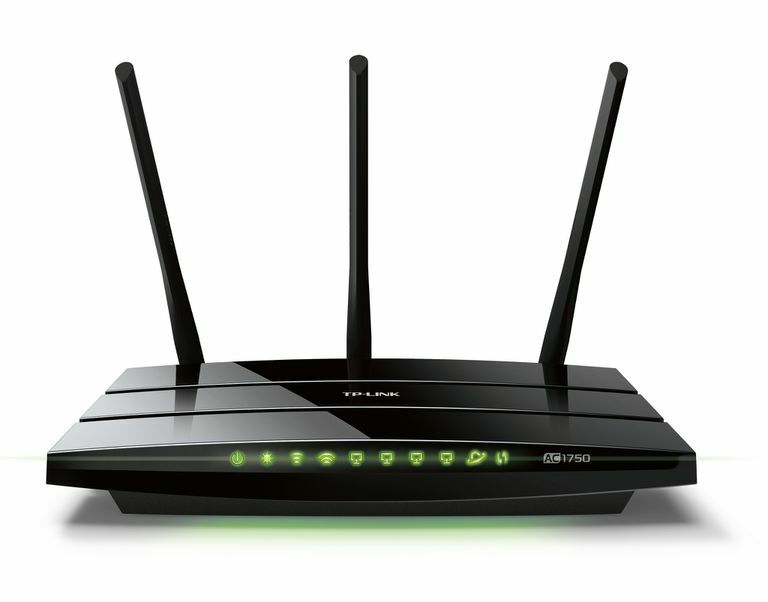 TP-LINK TL-WR841N: TP-LINK routers are some of the most sought after ones on the market. The TL-WR841N features external antennas that make a stronger connection. Netgear WGR614: The WGR614 is a first-rate router with a wide signal range (ideal for homes with brick walls or similar obstructions). And, a three-year warranty is included. Linksys WRT54G Wireless-G: This Linksys router doesn't take any time to install and its strong signal range means you won't have to worry about slow-loading pages.